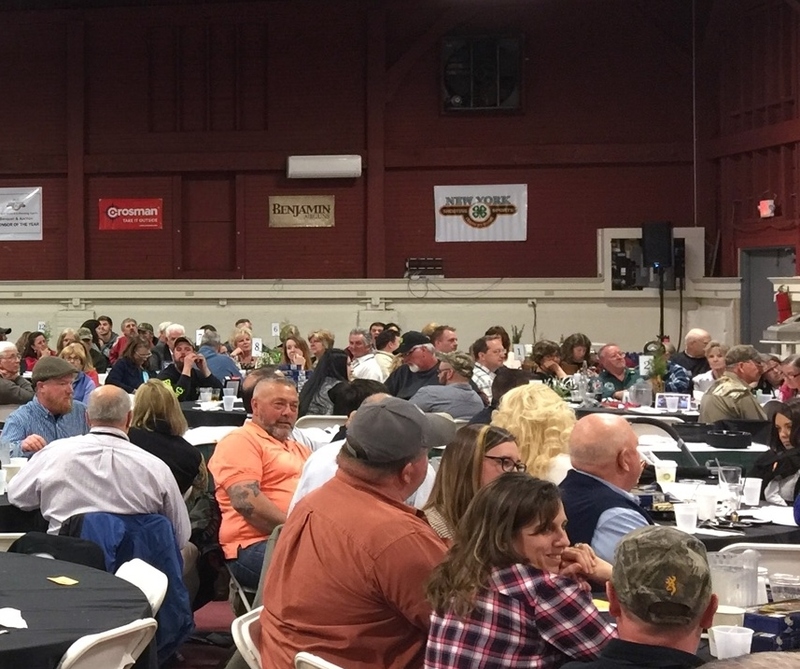 Seating for the 20th Annual Banquet & Auction Event on April 13, 2019 is Sold Out! 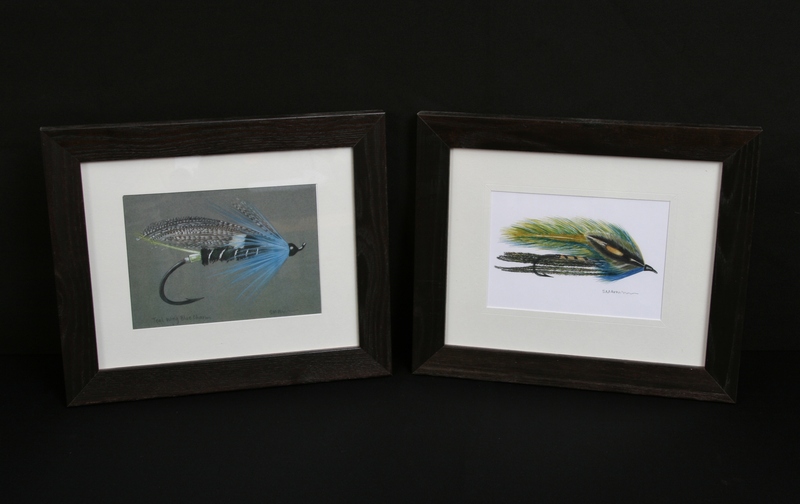 New York State 4-H Shooting Sports is proud to present several fine works by their 2019 Artist of the Year, Liam F. Bennett. 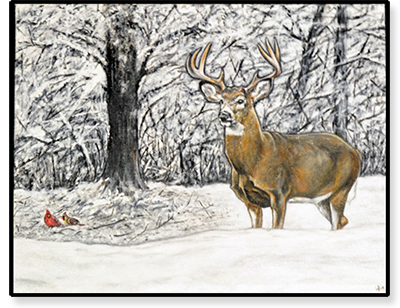 Waiting at the Gate, 11”x14” Acrylic on Canvas, one of several fine pieces by Liam F. Bennett that will be available at the 2019 New York State 4-H Shooting Sports Banquet & Auction Event on April 13 in Lake George, NY. Auction services for this event will again be provided courtesy of our friends at Talk of the Town Auction House, John and Beverly Stanislowsky with Dusty Cleveland serving as Auctioneer for the Live Auction. 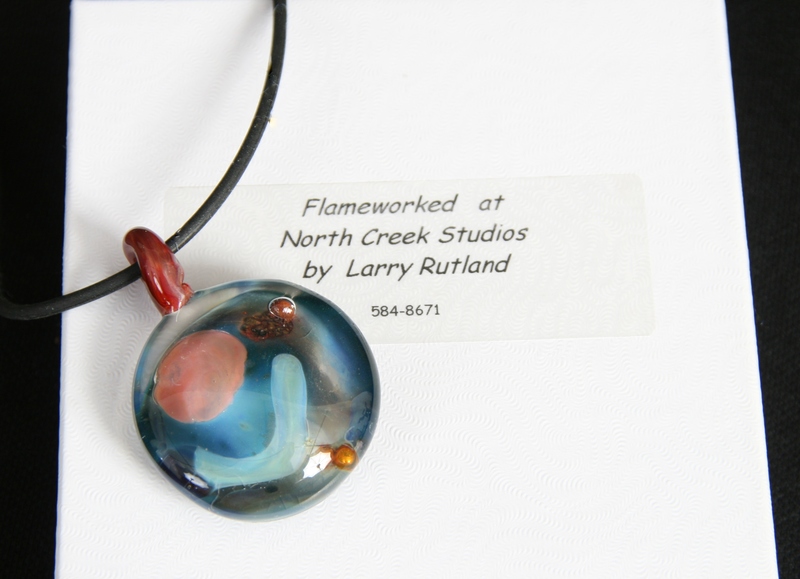 Please stay tuned to our website and this blog for further information – we look forward to seeing you there! 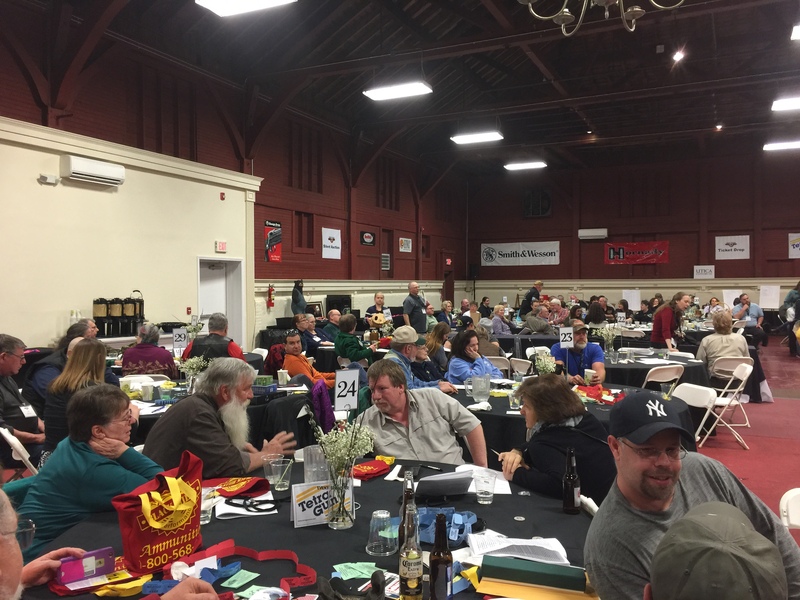 2019 New York State 4-H Shooting Sports Banquet & Auction – Join Us for Our 20th Year Celebration! 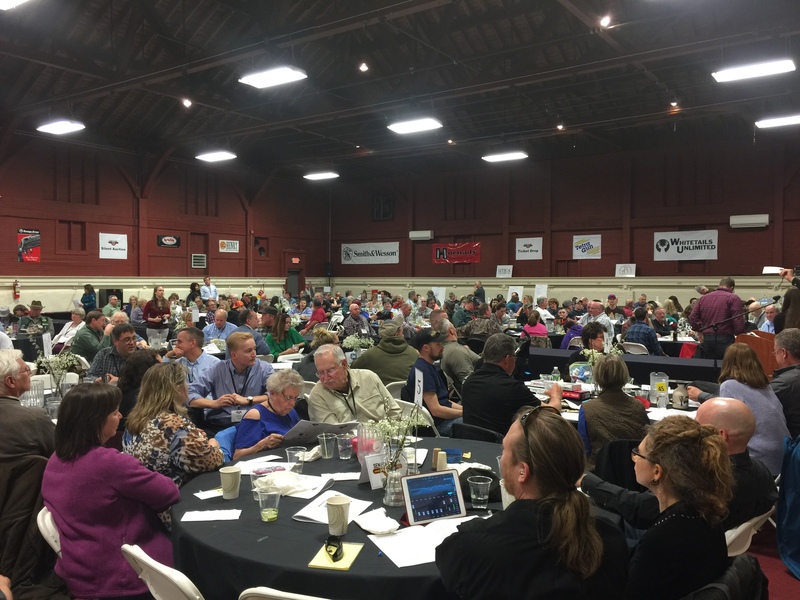 2019 marks the 20th Year Anniversary of the New York State 4-H Shooting Sports Banquet & Auction Event! 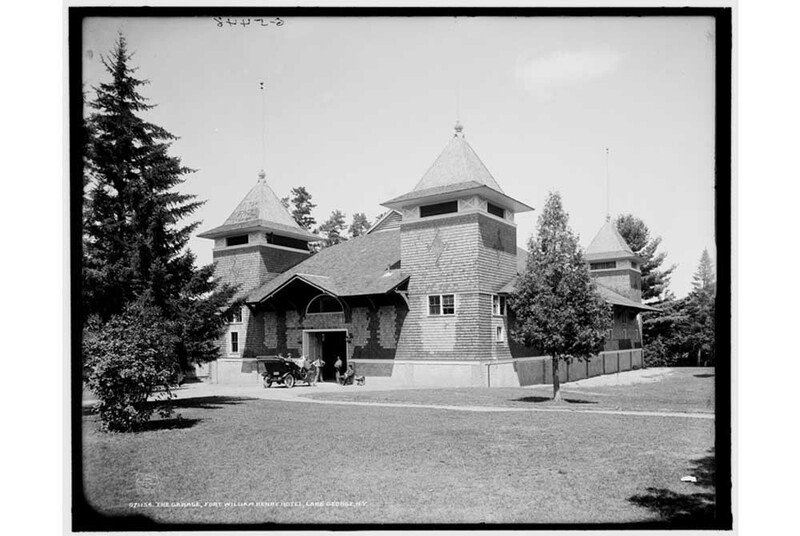 The 20th Annual New York State 4-H Shooting Sports Banquet & Auction will be held on Saturday, April 13, 2019 at The Carriage House (Towers Hall), on the beautiful lakeside grounds of the Fort William Henry Hotel & Resort, Lake George, NY. 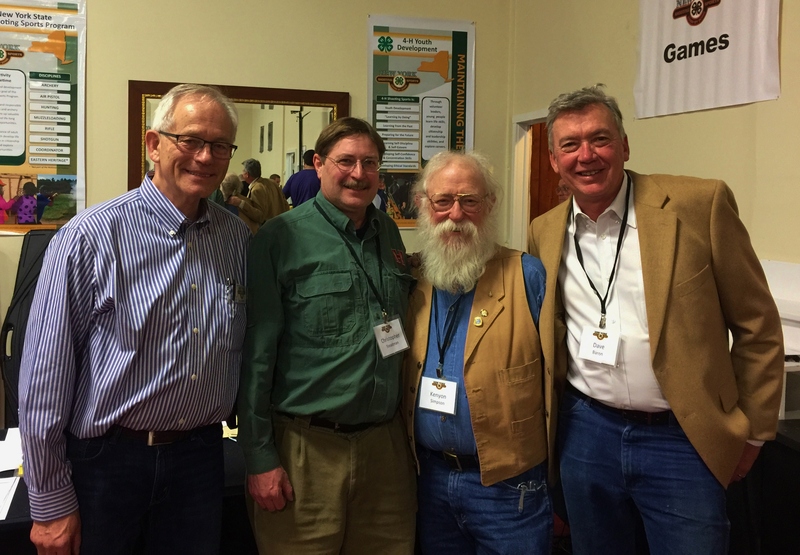 This premiere annual event raises vital funds that help ensure our commitment to excellence and growth in educational 4-H Youth Shooting Sports statewide programming. We are exceedingly grateful to all our sponsors, donors, friends and supporters who continue to make both this important annual event and our goals possible. 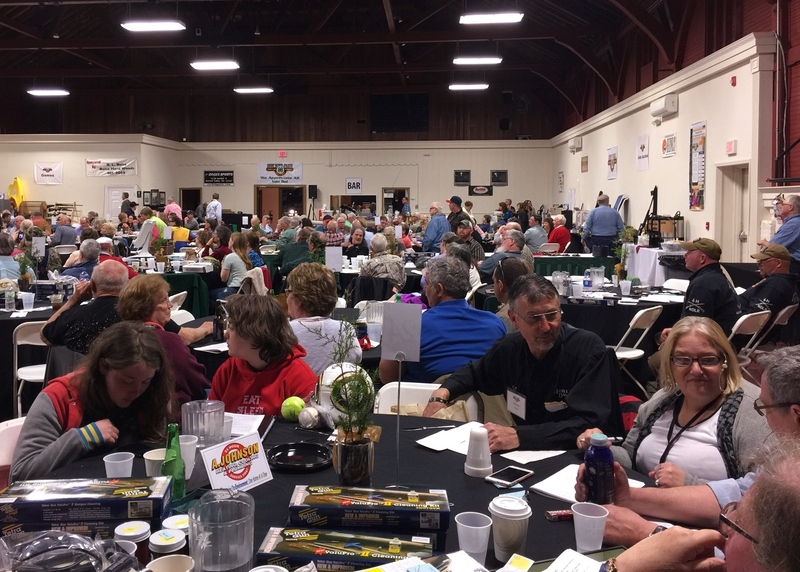 Auction services for our 2019 event will again be provided courtesy of our friends at Talk of the Town Auction House, John and Beverly Stanislowsky with Dusty Cleveland serving as Auctioneer for the Live Auction. 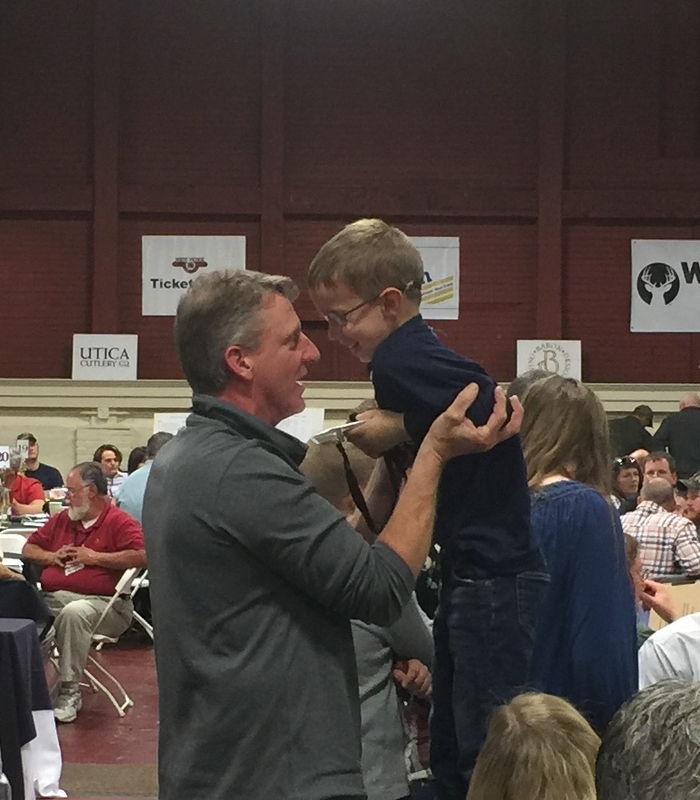 To view photos from our 2018 Banquet & Auction please click here. 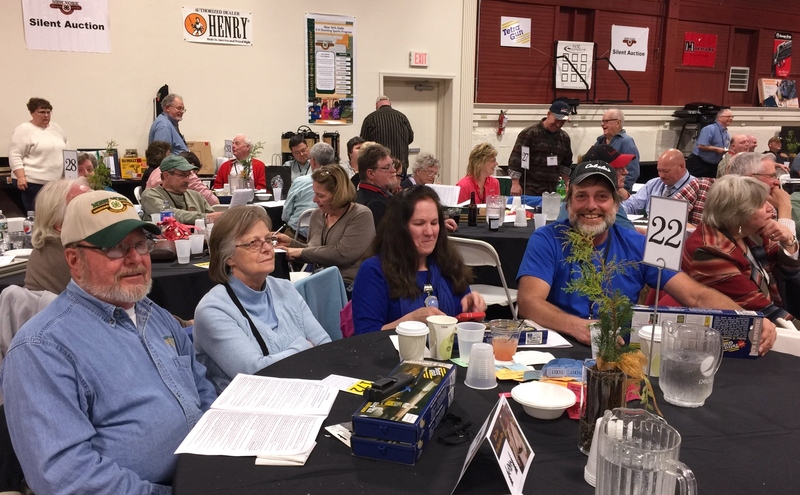 Many more photos and information from this great annual event, including those from past events, can be seen on our Banquet & Auction Photos Page as well as here on our Blog. Please mark your calendars and plan now to join us. Stay tuned to our website and blog for further information on this most worthwhile event – we hope to see you there! 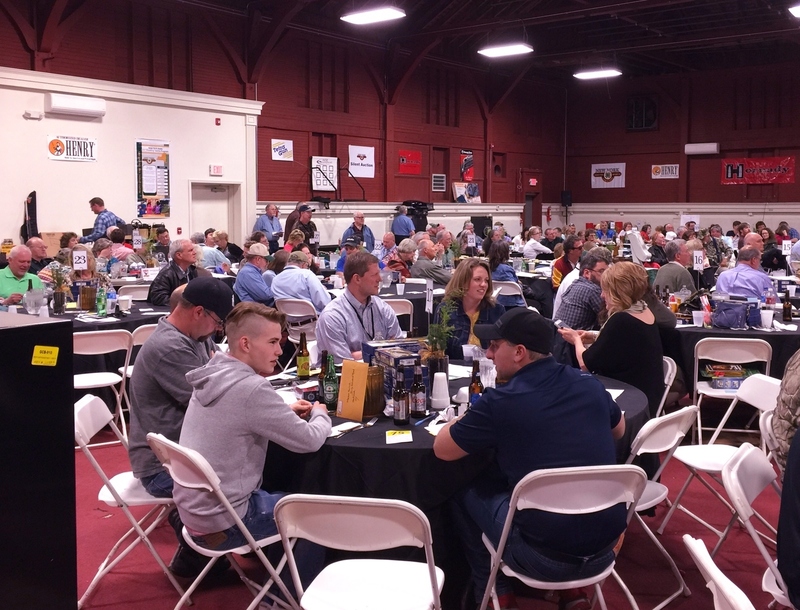 A few photos from our 18th Annual NYS4-HSS Banquet & Auction Event! 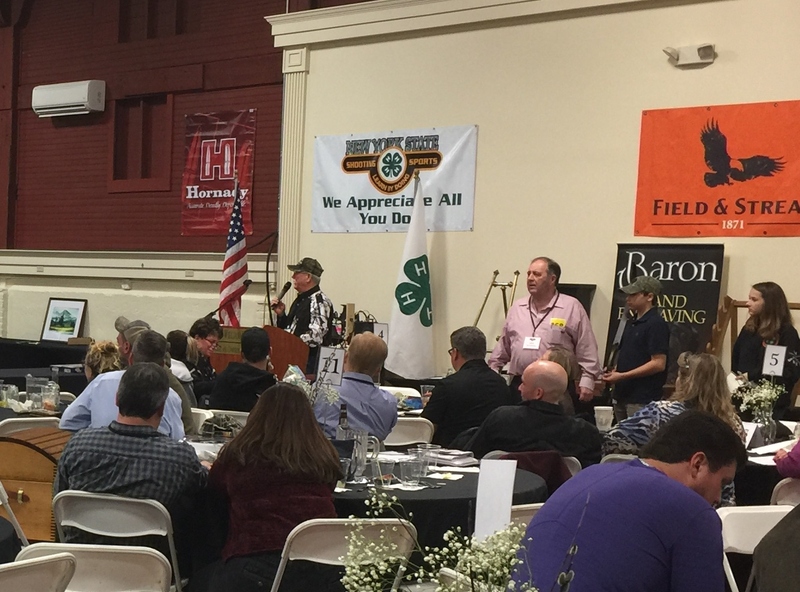 Thank you to everyone who attended and supported our 18th Annual New York State 4-H Shooting Sports Banquet & Auction event on Saturday night – we greatly appreciate all you do! 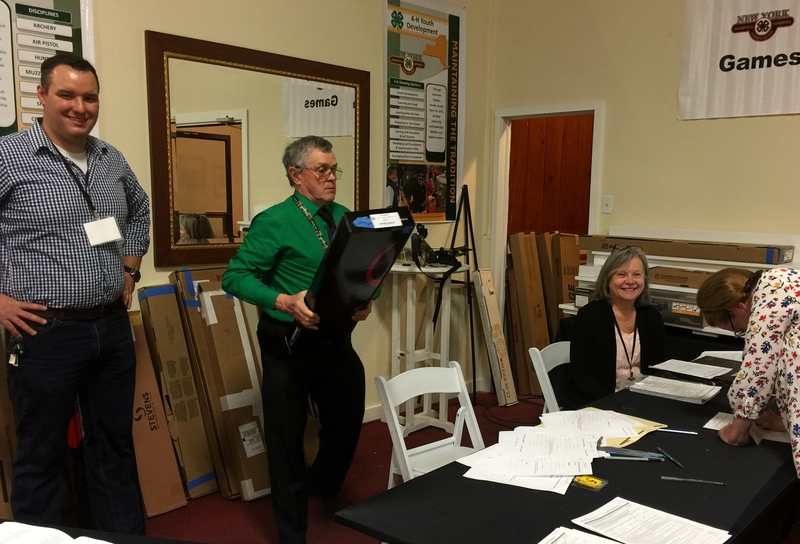 Special thanks to Talk of the Town Auction House, John and Beverly Stanislowsky and our Auctioneer, Dusty Cleveland. More photos will be up on our website in the future, please stay tuned! 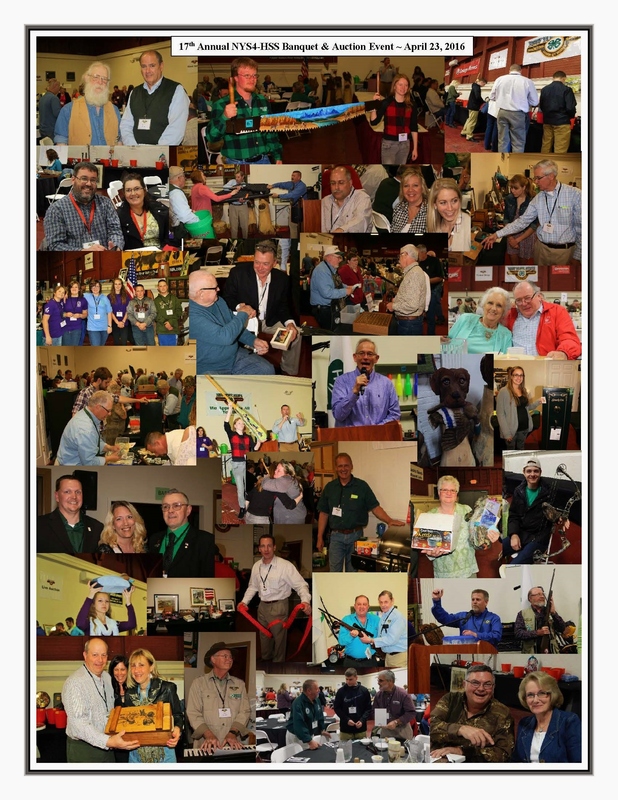 Over 150 photos from the 17th Annual New York State 4-H Shooting Sports Banquet & Auction Event held on Saturday, April 23, 2016 at the Fort William Henry Hotel and Conference Center in Lake George, NY are now online. Please click here to view these on the NYS4-HSS website. Many thanks to our photographers, Dave Felano & Bill Weatherby! 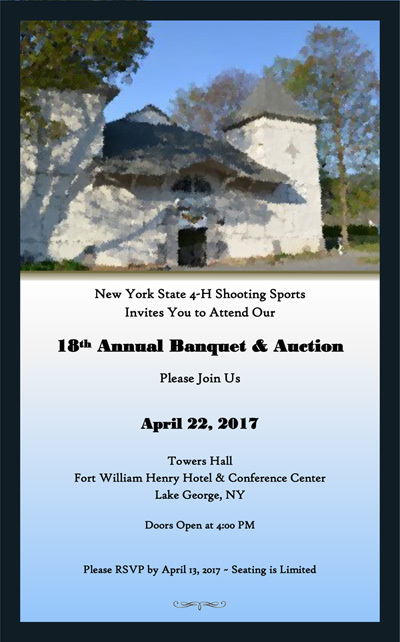 Join us next year for the 18th Annual New York State 4-H Shooting Sports Banquet & Auction Event on Saturday, April 22, 2017, in Tower’s Hall, at the Fort William Henry Hotel & Conference Center, please mark your calendars and plan now to attend – we look forward to seeing you there! 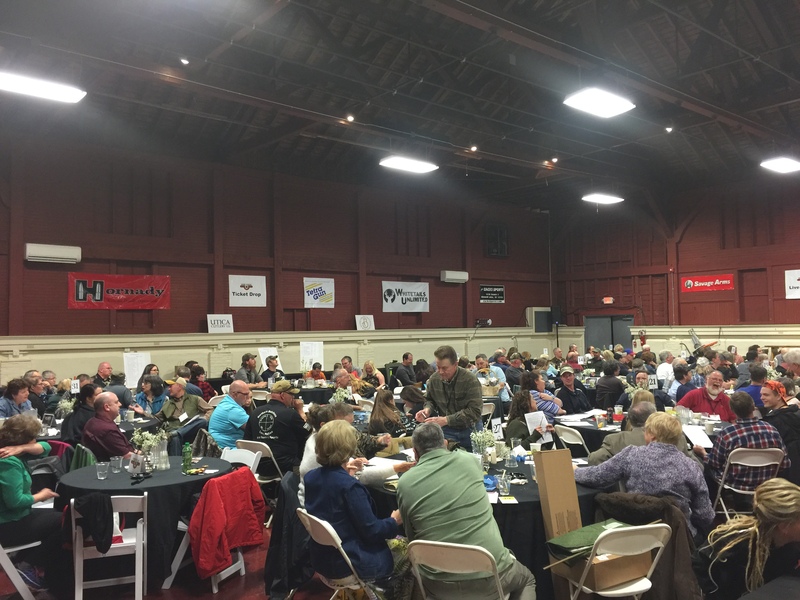 2016 Banquet & Auction Event Update! 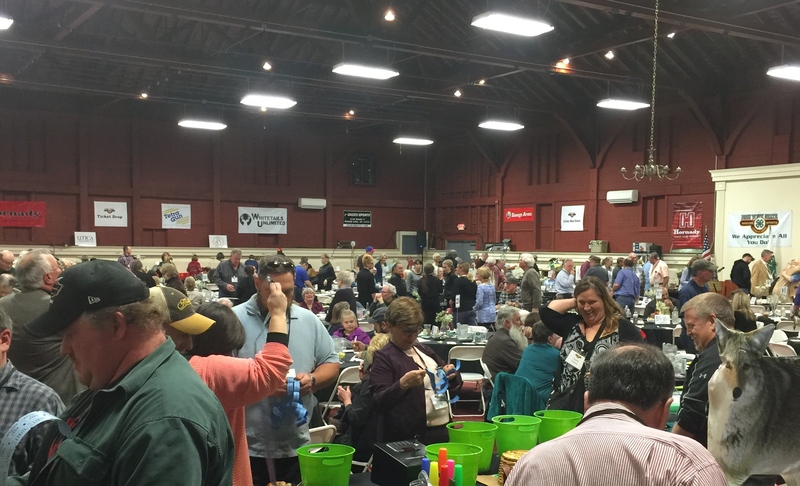 Be sure to visit our Banquet & Auction pages for photos and listings of several of the over 300 items in our 2016 event. 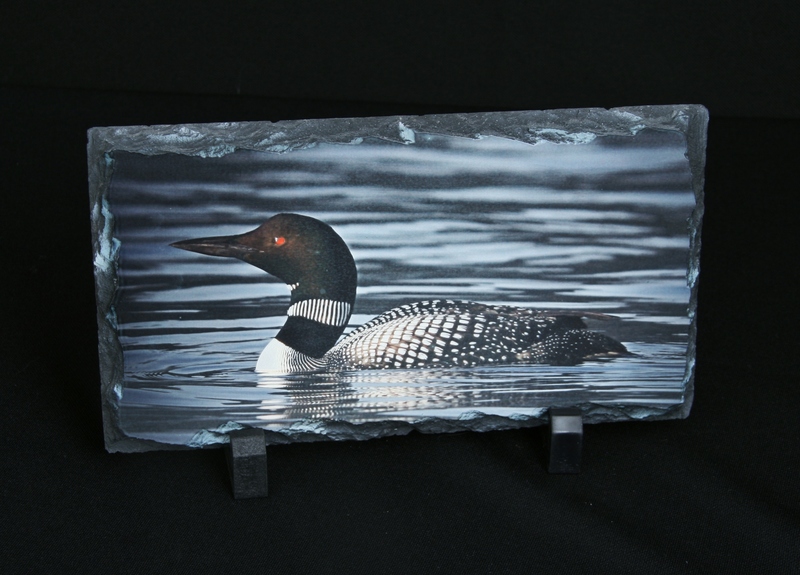 We will continue to add to our photos and listings, as possible, until April 23. 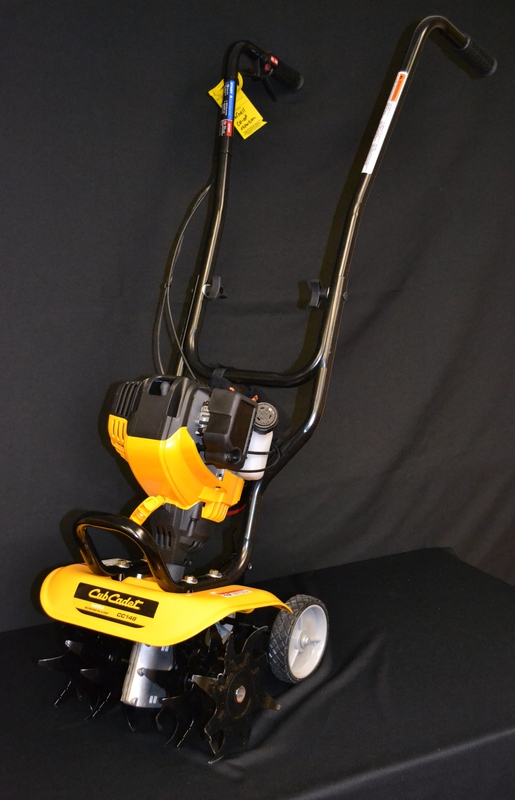 Thanks to the generosity of our many donors, sponsors and friends, we have an incredible selection of items in this years Live Auction, including this great Cub Cadet Mini Tiller provided courtesy of Emerich Sales & Service. 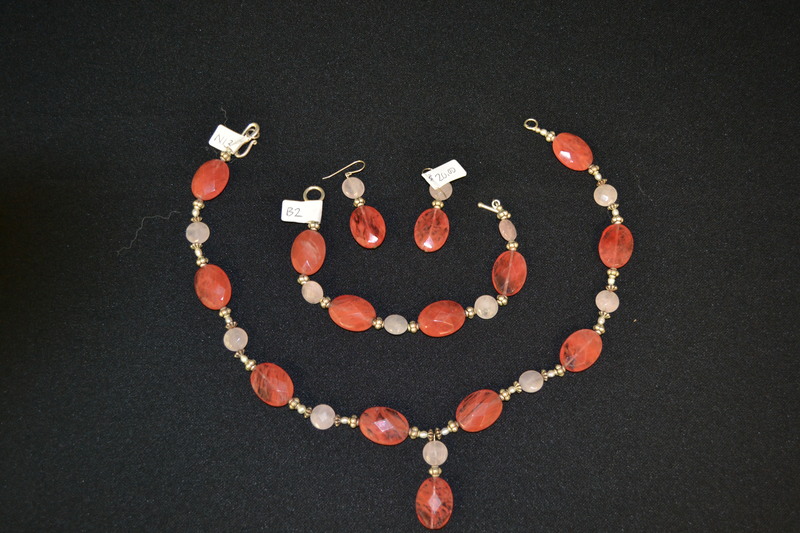 We’ll also have more beautiful jewelry items like this handmade beaded necklace set by Mary Jenney. If your looking for firearms, we’ll have many in our event by makers such as Henry, Savage, North American Arms, Ruger and Mossburg as well as Crossman Airguns – more than we have room to show on our site. 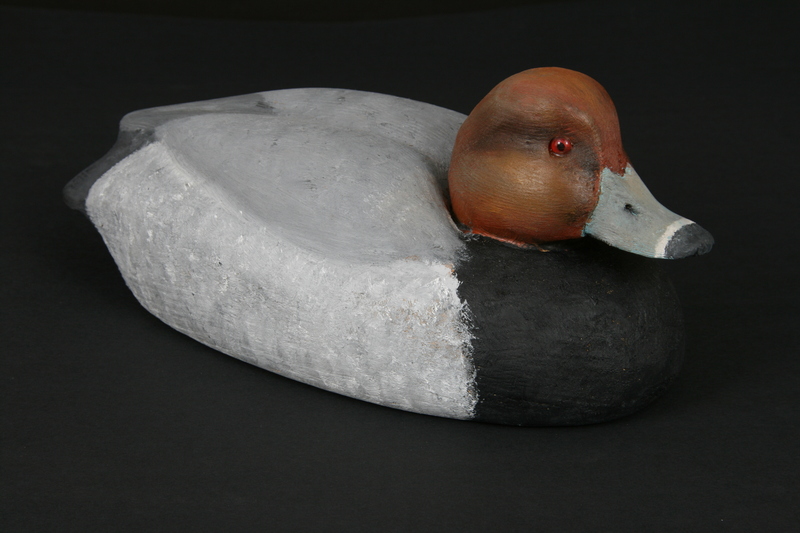 There’s also archery equipment, gear, ammo, safes, hunting, fishing, camping, cooking, outdoor packages and so much more! Questions? Please contact the NYS4-HSS office at 518-885-8995. 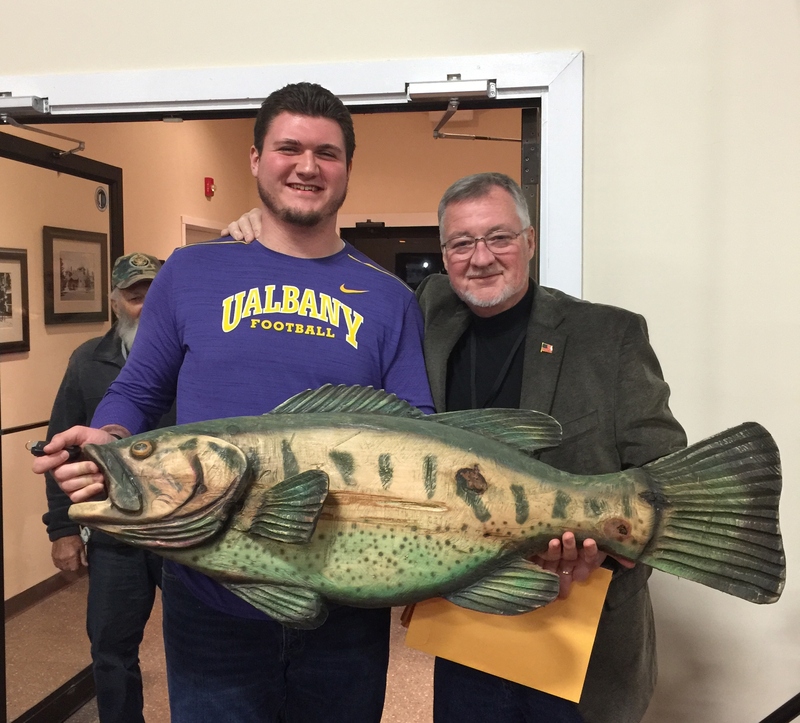 To view photos from our past Banquet & Auction Events, please click here. Item photos and listings for the 2016 New York State 4-H Shooting Sports Banquet & Auction Event will be on our website soon. 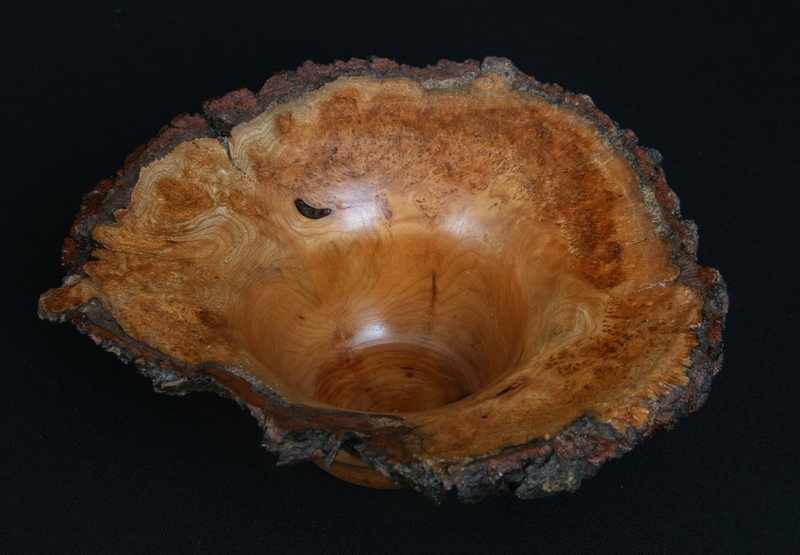 In addition to the amazing artwork of this year’s Artist of the Year, Molly Pokrzywka, shown in our previous Blog post, here’s a sneak peek at some of the other items in our 2016 event! 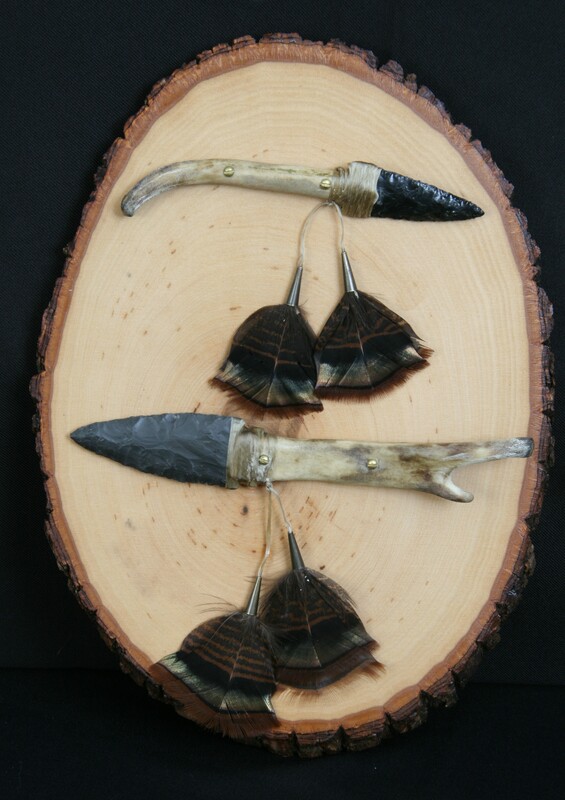 In addition to the above items, there will be many other beautifully hand made items along with an exceptional selection of firearms, safes, knives, scopes, hunting and fishing equipment as well as fishing and golf packages, photo safaris, overnight packages, fun and outdoor packages, camping equipment, restaurants galore and so much more! Be sure to check back on our website and here on our Blog for further information as we get closer to our Event -we hope to see you there! It’s Almost Banquet & Auction Time! Our 17th Annual Banquet & Auction Event is quickly approaching! 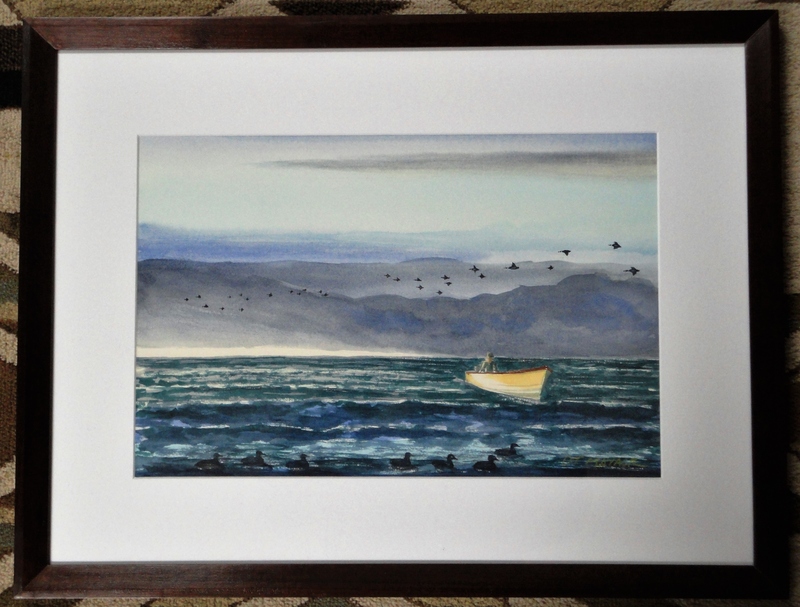 On Saturday, April 23rd, we will be gathering in historic Towers Hall at the Fort William Henry Hotel & Conference Center in beautiful Lake George, NY to Celebrate Our Youth, featuring amazing artwork by our 2016 Artist of the Year, former 4-H’er Molly Pokzrywka, while raising vital funds for the New York State 4-H Shooting Sports Program. Each year, this event draws an average of 300 attendees for a very special evening of friends, food, fun and fundraising. 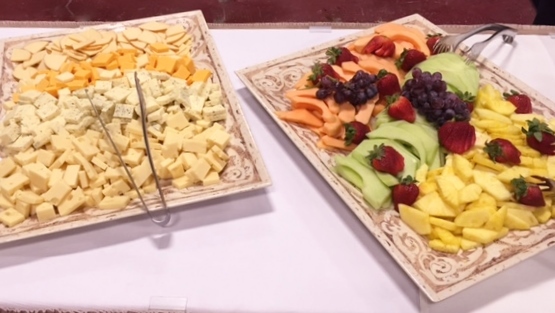 Doors to Towers Hall open at 4PM – come early and join us for the Silent Auction, Games and Table Drop Items while enjoying a fabulous array of hot and cold complimentary hors d’oeuvres with cash bar available. 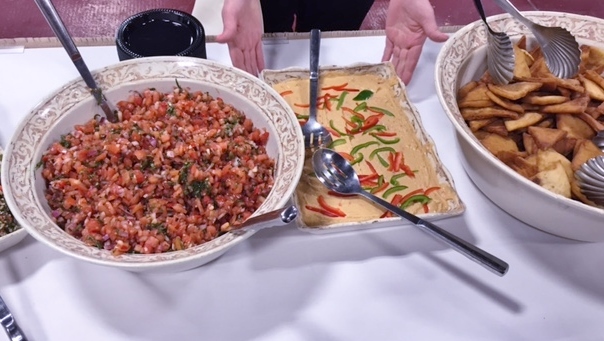 At 7PM, a grand buffet dinner of beef, chicken and pasta selections with vegetable, potato, salad, rolls, coffee, tea and desserts will be served followed directly by the Live Auction. 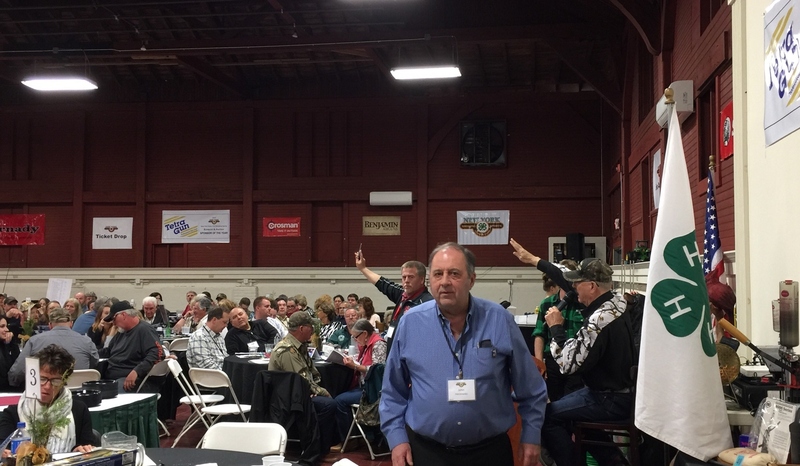 Auction services will again be provided courtesy of Talk of the Town Auction – John & Bev Stanislowsky with Chris Ward as Auctioneer. 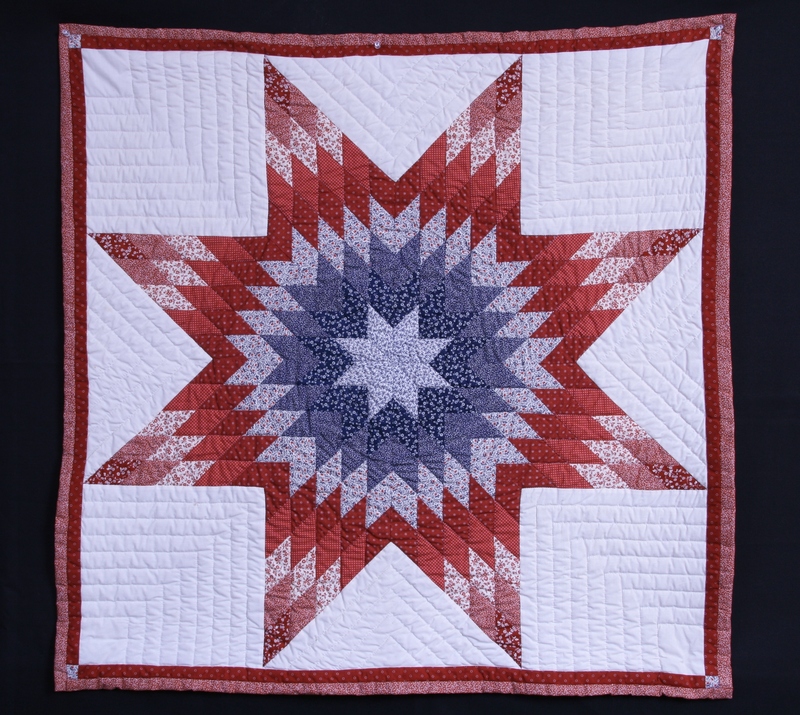 Thanks to our many generous donors and sponsors we have an extraordinary array of items available in this year’s event with something for everyone. 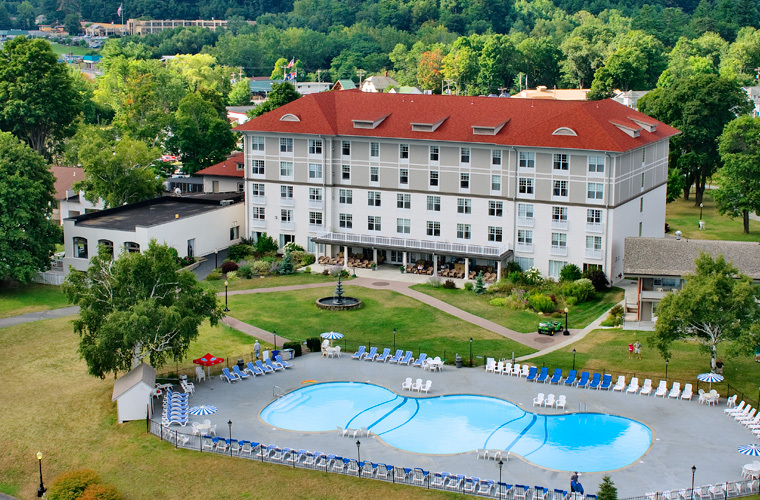 We invite you to take advantage of our specially priced Overnight Packages which include dinner tickets, accommodations in the Grand Hotel section of the Fort William Henry Hotel & Conference Center as well as tickets to our private Breakfast Buffet in the Tankard Taverne overlooking Lake George on Sunday morning. Tickets to our Annual Banquet & Auction event often sell out, please be sure to get your reservations in early! To download an Invitation with Reservation Form, click here. All proceeds from this event directly benefit the New York State 4-H Shooting Sports Program. Please join us on April 23rd and help us exceed our goals – we hope to see you there! 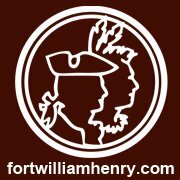 Special thanks to the Fort William Henry Hotel & Conference Center for their continued support in hosting our event and their outstanding management, staff and service! 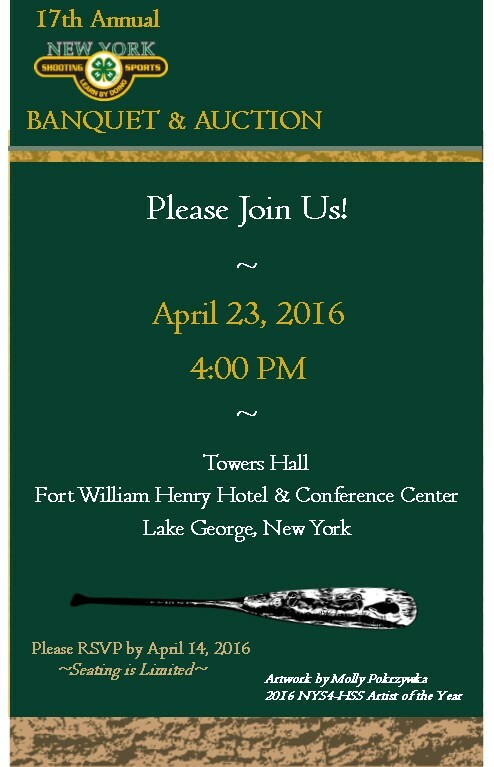 Please Join Us for the 17th Annual NYS4-HSS Banquet & Auction! 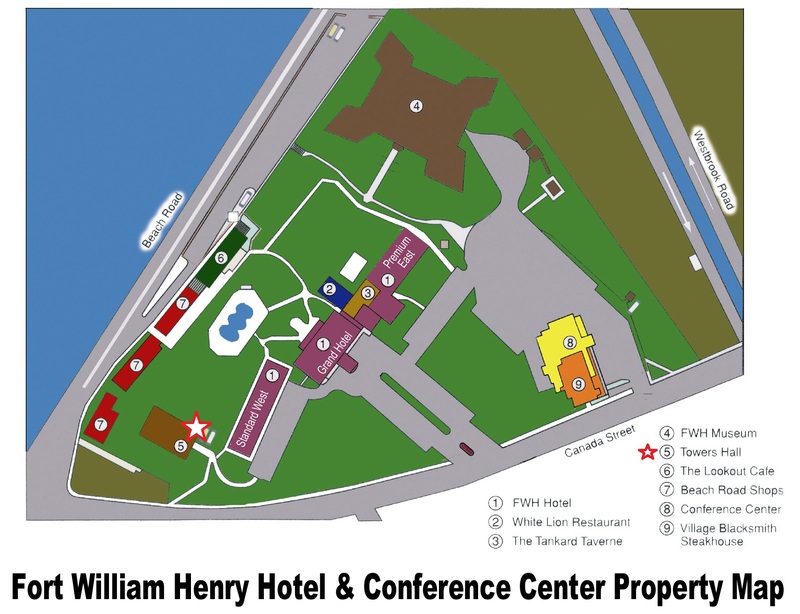 The 17th Annual NYS4-HSS Banquet & Auction Event will be held in historic Towers Hall at the Fort William Henry Hotel & Conference Center in Lake George, NY on Saturday, April 23. Invitations to our most important event of the year will soon be arriving in the mail to our past attendees. If you are not presently on our mailing list or would like more information, please contact the New York State 4-H Shooting Sports office at 518-885-8995. Invitations, including Reservation Forms, are also available for download from our website by clicking here. 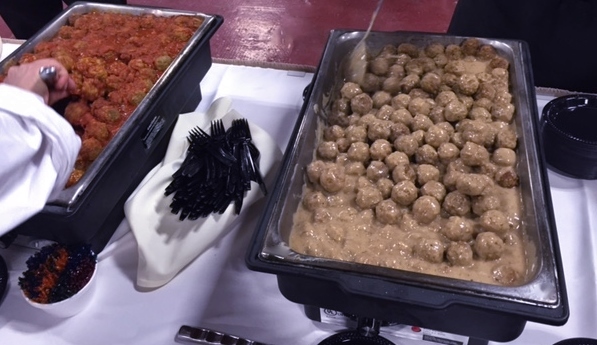 Doors open at 4:00PM with lavish complimentary hor d’oeuvres and cash bar available. 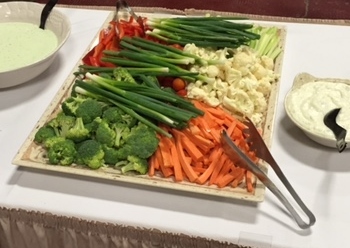 A Grand Buffet Dinner featuring beef, chicken and pasta selections as well as soups, salad, vegetable, dessert, coffee and tea will be served at 7:00 PM followed directly by the Live Auction. Event Dinner Tickets are $40 per person. Our popular Overnight Packages will also be available and have been held at 2015 pricing to help our guests take advantage of this very special offer. (Please note this offer is only available with reservations placed directly through the NYS4-HSS office, see our Reservation Form for pricing details). 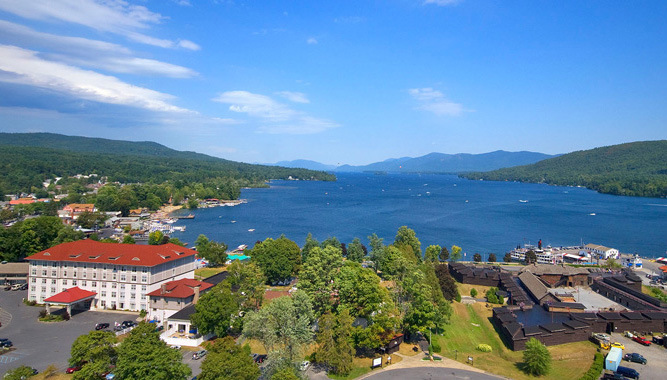 Relax and spend the night in a Grand Room at the Fort William Henry Hotel and enjoy a bountiful breakfast buffet on Sunday morning in the newly redesigned Tankard Taverne overlooking breathtaking Lake George. Hundreds of items will be up for grabs! 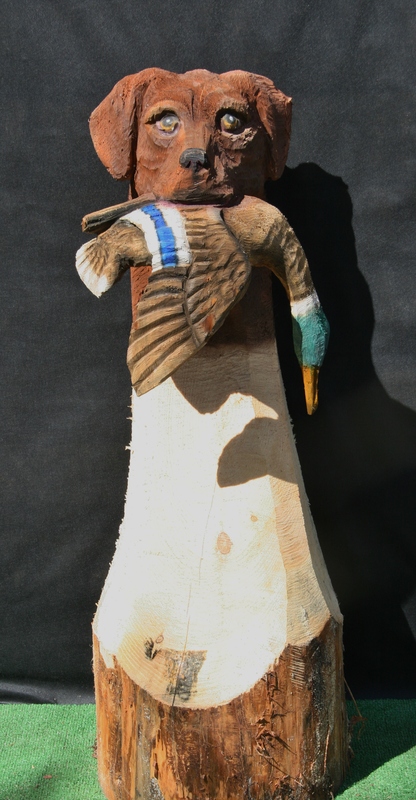 This event features an extraordinary variety of quality items including Firearms, Safes, Archery, Knives, Sportsman Packages, Golf Packages, Fishing Trips, Art, Carvings and Handcrafted Items, Patriot’s Package, Farm to Market Products, Hunts & Photo Safaris … too much more to mention! 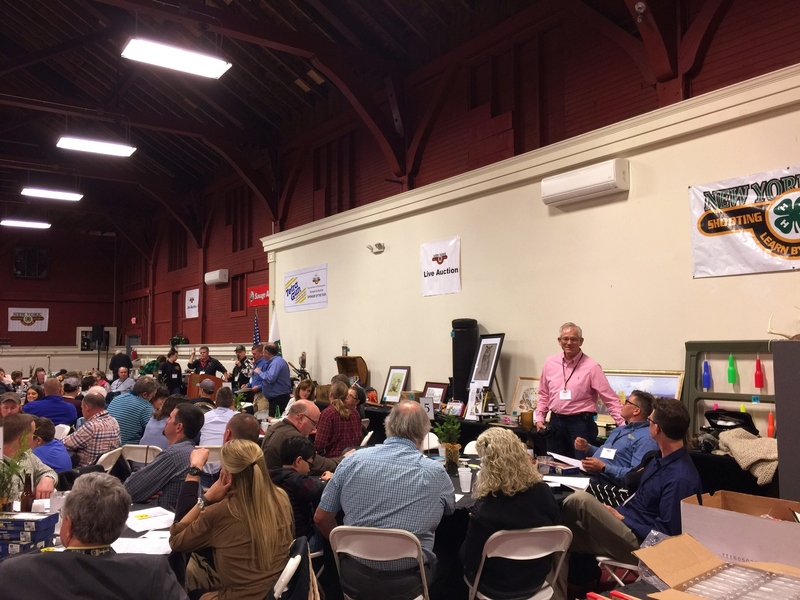 Auction services will again be provided courtesy of Talk of the Town Auction – John & Beverly Stanislowsky with Chris Ward as Auctioneer. 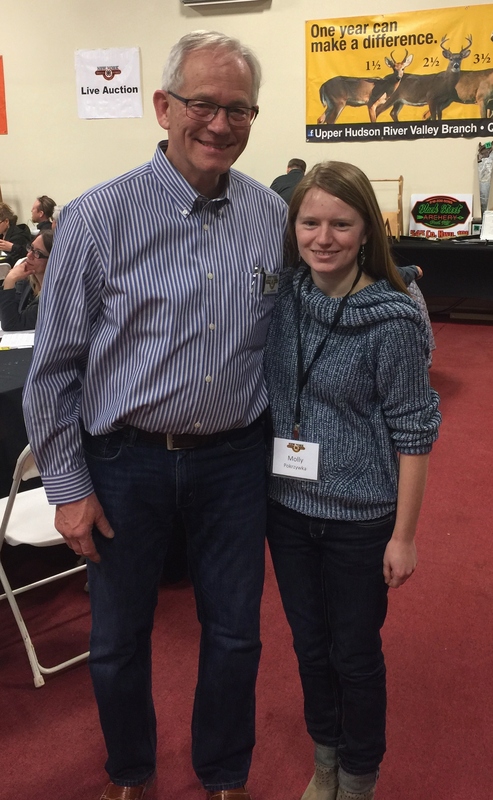 Former Saratoga County 4-H’er and crowd favorite, Molly Pokrzywka, has been chosen as the 2016 New York State 4-H Shooting Sports Artist of the Year as we celebrate the full circle accomplishments of our youth. 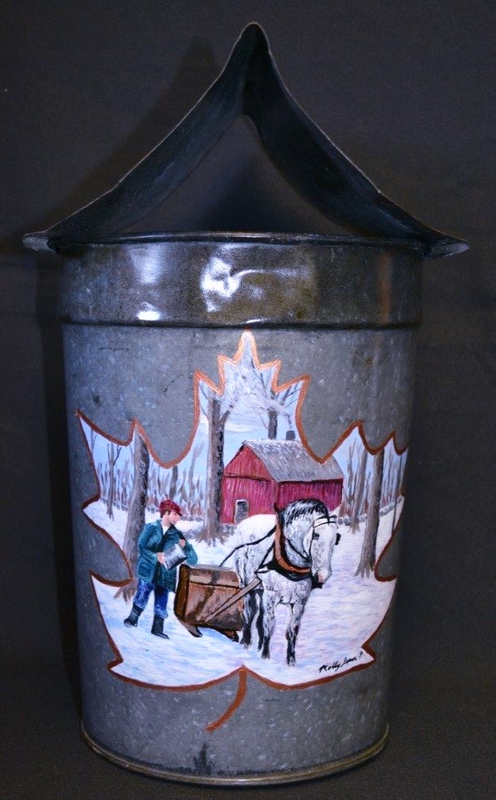 Molly has contributed several incredible pieces of artwork for this year’s event including a beautifully detailed Sugaring Scene on Vintage Sap Bucket and a strikingly vivid Wood Duck Scene on Canoe Paddle. 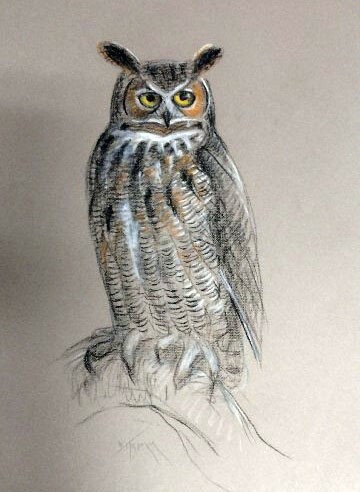 Please stay tuned to our website for forthcoming event information including auction item photos and listing details as we get closer to the event date. Plan now to attend – we hope to see you there!